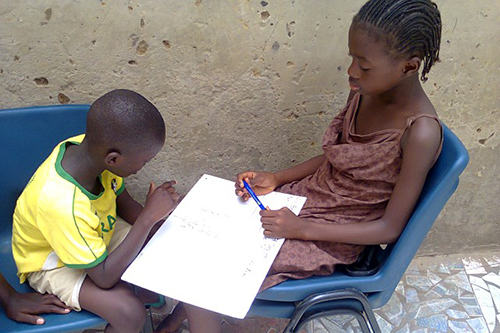 Diapalante is a UK-based charity which works with local partners on small, community projects in West Africa. Our name is taken from the regional Wolof language and means ‘working together in solidarity’. We chose this name as it reflects our belief in working alongside people to help them achieve their own goals and dreams. All of our projects are put forward and run by local representatives. Since Diapalante was founded in 2005, we have worked with a range of local groups. These include semi-nomadic herders raising livestock on the fringes of the Sahara desert, children and adults keen to improve their education and work skills, the disabled community and children forced to beg on the street.